Quality Home Builders Giving Lifestyle Choices! Wolfe Homes is a family owned business situated in Kalamunda Perth Hills that has been built on strong foundations over the years that prides itself on its continued commitment to quality building. 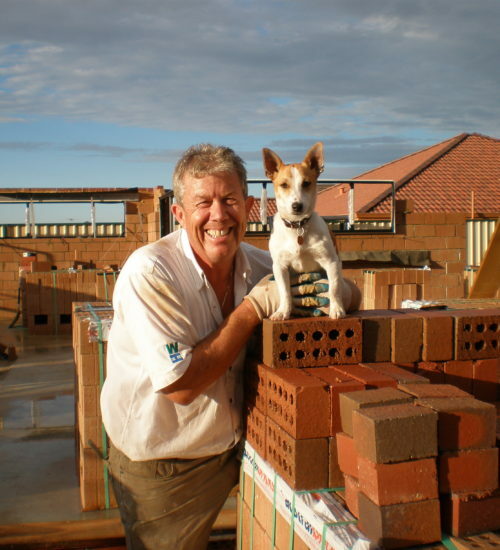 Founded in 2005 the company is managed by Johnny Wolfe who has been in the building industry spanning over 40 years from apprentice bricklayer to experienced licensed builder. Johnny is the company Project Manager who has a daily hands on approach working with you the owner and his team of tradies. The company specialises in Extensions and Renovations solutions to achieve your homes full potential and value. We have a choice of designers to suit your project. We have the experience to give you that quality build whether it is completely new stand alone or Heritage style. We are also very aware of the cost of building and will provide advice and guidance throughout the build from concept to completion. We are registered Builders with the Building Commission Reg No 1124 and are proud to be ten year members of the Master Builders and Housing Industry Association.